Getting the (Bird) Band Back Together! We've talked about many citizen science projects that track the plants and animals in our environment. Most are passive projects...you find a place or species to observe and you record it's location and environment. Some do this better than others, and some have a larger scope than others. But all rely on that general pattern. Bird banding is different. In these cases scientists actively capture birds to tag with special "bands" and release them into the wild to track. When a bird later dies or is photographed up close with the band, an observation can recorded and tracked back to the specific bird. This is a powerful tool. Not only can it help us keep observations for each bird separate but it also allows the bird's movements to be tracked, it's migration patterns mapped, and it's lifestyle better understood. In most cases citizen scientists won't be actively banding birds. These programs are run by the U.S. and Canadian governments and are generally restricted to professional ornithologists. But if you can show an understanding of the birds and a real research need a permit may be issued. Much more on this process can be found here on the U.S. Geological Survey's web site. However, citizen scientists can play an important role in tracking banded birds and reporting the results. Bird watchers can spot markings in their binoculars or they may find a band on bird remains while walking through the woods. In either case scientists would love to have that information. Just go to www.ReportBand.gov with the band number, bird species (if known), and information on where you found it. All this will be entered into a web-based form for submission. That's all there is to it! Of course, this isn't a completely passive activity for citizen scientists. You are also encouraged to look at the data collected over the years and perform your own analyses. How you ask? Go to the Bird Banding Laboratory web site to learn more about bird banding and the data collected over the past 50 years. For simple data requests, visit the summary data page for selecting data on bird species, states/countries they were spotted in, and year ranges going back to 1960. Hitting "Get Counts" will pull all that data into a large table you can use and adapt to your own purposes. To obtain more specific data send your request directly to the USGS for processing. While you need to provide your name/address, valid reason for the data, and selection criteria, it's a pretty easy process. Just visit the Bird Banding Data Requests site for detailed instructions. Now that you have the data do something interesting with it! Map the locations of a specific bird type for each year...are there changes? Is heir territory changing? 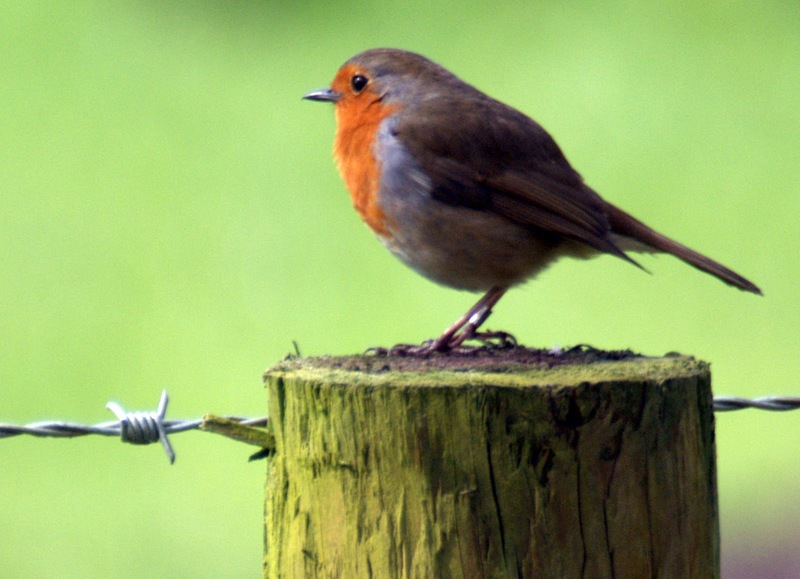 What about birds in your area...are the number of species increasing or decreasing each year? There are so many questions you can answer once you have the data. That's all there is to it. No matter how active or passive you want to be as a citizen scientist, bird banding projects offer something for everyone. Just remember to band and track with care...it can be initially stressful for the bird and we want to treat them with respect. But it can be a small price to pay for the valuable environmental and biological data we receive. I've been working on a new post about the makings of a successful citizen science project. It looks at the many projects we've discussed and the attributes that make them publicly popular and scientifically useful. I've found some common threads and want to highlight them as examples future project scientists can learn from. During my research I came across an article from the Cornell Lab of Ornithology (Bonney, Rick, et al)with a unique perspective on the problem. You can find it in the December 2009 edition of BioScience available here. It's a few years old but this group's experience operating the Project FeederWatch and Backyard Bird Count programs, as well as developing the useful eBird tool, means they speak from valuable experience. So I wanted their opinion, and your reactions to it, as I record my own observations. Since most citizen scientists are amateur observers, design data collections that rely on basic skills that require little training. Simple, easy-to-explain projects are more popular with users. Although the questions can be scientifically complex the basic concepts should be understandable by an everyday person. Studies with a "large spatial or temporal scope" are best suited to citizen science since they take advantage of the wide number (and type) of users who may participate. Standardizing data collection criteria and techniques is vital to data quality when multiple participants are all supplying observations. Providing educational opportunities keep users interested, as well as "certifications" for successfully completing any required training (no matter how minimal). Make study results AND study data available to the public. If you ask people to collect data they should be trusted to view and analyze it themselves. Disseminating results broadly and publicly helps demonstrate the importance of participation and encourages people to continue volunteering to help your project. These are just some of the author's thoughts. But what about yours? I'd love to hear your opinions and include them in my upcoming piece. Do you agree with the items points listed above? Are there important concepts missing? Are there good examples of each of these in action? Any insight you can provide will be quite helpful. Thank you (in advance) for the assistance, and I'd love to hear your thoughts in the comments below. The first new Citizen Science project of the new year is "Meteor Counter", an iPhone application released by NASA researchers right before Christmas. I've had a chance to play with it some and think you'll find it as interesting as we do. 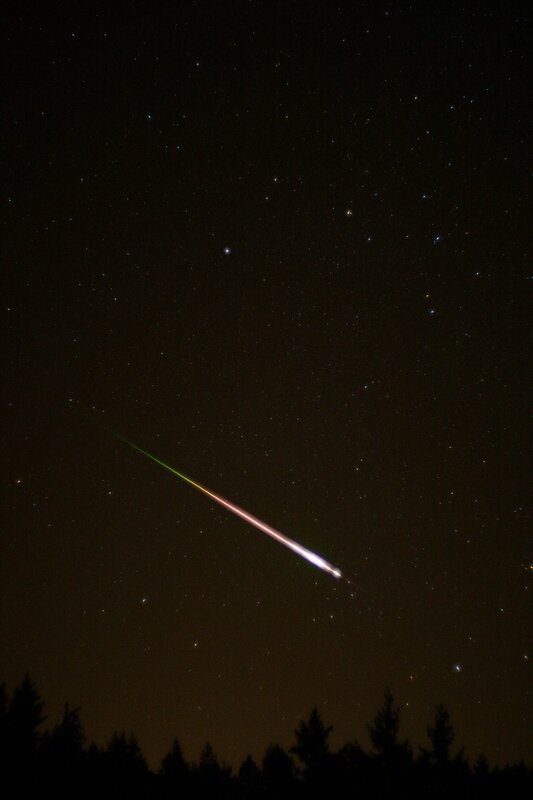 Meteor Counter's main goal is identifying and reporting meteors whenever, and wherever, they are spotted. And it performs this job very well. When you spot a meteor streaking through the sky, just open the application, identify the part of the sky you say it in, and use the "piano-key" interface to report its magnitude (brightness). Time, date, and location information are automatically provided by the application itself. All this information is vital to understanding our space environment and collecting data on events that can't be captured with individual telescopes. Meteors arrive every day and the only way to track them all is by crowdsourcing it to users across the globe (that's us!). This isn't just academic information...there is much we still don't know. So our hopes for discovering new meteor showers, identifying comet debris streams, and mapping the distribution of meteoroids around the Earth are increased the more people take advantage of this application. This is also one of those interesting project applications with a straightforward goal application that actually has additional depth underneath it. It can alert you to upcoming meteor showers in your area, collect more detailed trajectory data from advanced users, and record audio of the event with additional information. So you can get as much or as little as you want out of this application depending on your interest and expertise. Visit the NASA Meteor Counter web site to learn more about the project and for access to the Apple App Store. Alternatively you can head straight to the App Store from your iPhone or by clicking here. Download the App to your iPhone, iPad, or iPod Touch. Currently there is not an Android version but that may change in the future. Set up the App the first time you open it. Provide your name, e-mail address, and level of experience so it knows what functionality to provide and so your results can be accurately tracked. Once set up the app will provide brief instructions on how to make observations. Step one is reporting the current sky conditions, both how clear the sky is and how bright the dimmest stars are. You can now begin the full observation session. A map of the night sky will appear divided into seven "piano key" segments, as shown below. Whenever you spot a meteor just tap on the key corresponding to its brightness. 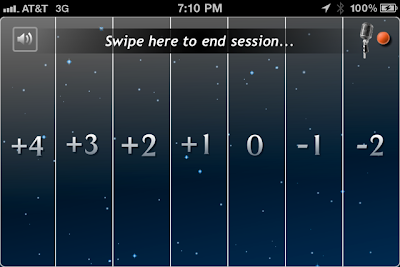 For example, a bright fireball might get a "-2" score, while a barely visible meteorite would receive a "+4" score. If something particularly interesting is happening, or if you just want to shout excitedly to the world, click on the microphone to record your thoughts. When the observations are automatically uploaded to the project scientists, the data and any recordings will be sent as well. That's all there is to it! Of course you go deeper by enabling news feeds and alerts for upcoming showers, but you don't have to. All you need to do is have fun. Finally, if you are still uncertain about how to participate, watch the video below for additional instructions and more information on how scientists will use the data you collect. I'm sure you'll agree it's an exciting project to take part in! Happy New Year everybody! I hope you all had a fun time relaxing the last few weeks. The holidays are a time to enjoy with family and friends, and that's been true for OpenScientist too. Looking back it's been a busy year of collecting citizen science projects and finding creative ways to convince people how easy it is to get started. There's also been a lot of fun starting a few original projects and analyzing the amateur science field as a whole. But all this took a lot out of me. So I've taken a few weeks off but am gearing up for a brand new year of citizen science excitement. What does the new year have in store for OpenScientist? Glad you asked! Describing More Citizen Science Projects: Although I've collected over 80 of the most popular citizen science tools and projects currently running, more are being created every day. So OpenScientist will continue being the place for learning to participate in the most exciting projects around. It will also be a great time to update all the projects featured last year. Diving Deep into the Weather: Every year I like to pick one field of science and immerse myself to gain a fuller understanding of it. Last year's experience with Skywarn and the citizen weather observation program inspired my renewed interest in climatology and I want to learn as much as possible about it this year. Analyzing the Citizen Science Field: Collecting information on all these projects is the perfect way to identify trends and figure out what works, and what doesn't, in citizen science. These posts were very popular last year so I hope to have even more for you in 2012. With any luck we can help advance the field a little bit too. Of course this isn't a complete list. I'm also planning to greatly expand my outreach with an increased social media presence and greater dialogue with the community as a whole. There will also be more book reviews, profiles of historical citizen scientists, and improved web site navigation. Not too mention a few surprises I've also got hidden up my sleeve. So join us here each week for more projects and opinions from the world of citizen science. Because getting started is easy.